Just because cats are clean and super-hygienic animals doesn’t mean that they can’t benefit from a luxurious and relaxing cat grooming service at Katy’s premier pet care destination. With a dedicated team, ready to take care of every aspect of your feline friend’s grooming needs, you can rest assured knowing that Fireplug Bed & Bath will leave no stone left unturned in the pursuit of pet care perfection. Our professionally certified pet care experts possess all the skill and experience to cater to every aspect of your pet’s needs. So, don’t settle for second best when the number one option is right here in Katy for you. Trust us, you’ll be glad you called. As many Katy owners of long-haired cats can attest to, grooming services are very beneficial. However, it is not just long-haired cats that can reap the rewards of regular grooming services. At Fireplug Bed & Bath, our extensive range of cat grooming services are perfect for all types of feline pets. So, just because your cat doesn’t have matted hair doesn’t mean that they don’t need to be groomed. Grooming your cat regularly is crucial to ensure that their natural health is maintained. At Fireplug Bed & Bath, we feel that our grooming service does much more than simply leave your cat looking good. For instance, brushing your cat’s hair regularly distributes the natural oils needed to maintain skin and coat health. On top of that, bringing your cat for regular grooming services with us allows you to address tangles before they turn into mats. Correcting this issue will not only leave your cat looking better but will also reduce the likelihood of them trying to fix the situation themselves which could result in hairballs forming. As well as the many esthetic benefits of grooming your cat regularly, regular cat care will also enable our team to check for parasites such as fleas and ticks, as well as searching for any skin abnormalities and ear problems. On top of the health benefits that can be derived from regular grooming, the act of brushing and having your pet cat held regularly will make them more social and less opposed to being rubbed or held. 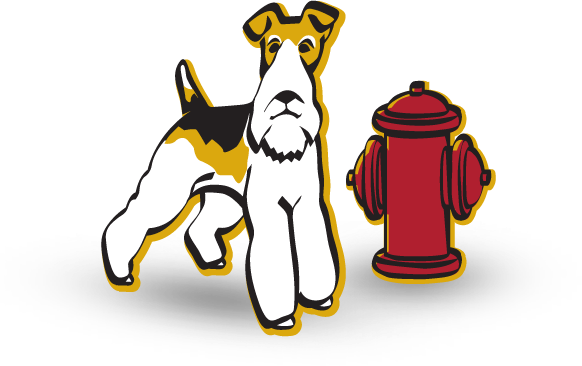 At Fireplug Bed & Bath we are very aware that our grooming service needs to be mixed with regular pet care and at-home grooming. Our professional team of cat care experts will give you all the techniques and tools to ensure that your cat can continue to receive the best grooming treatment from the comfort of your home. For us, your cat’s happiness is our number one priority, and that is why we recommend that on top of monthly or bi-monthly visits to us, you also ensure that your cat receives brushing two or three times per week for short-haired cats and probably once a day for long-haired cats.